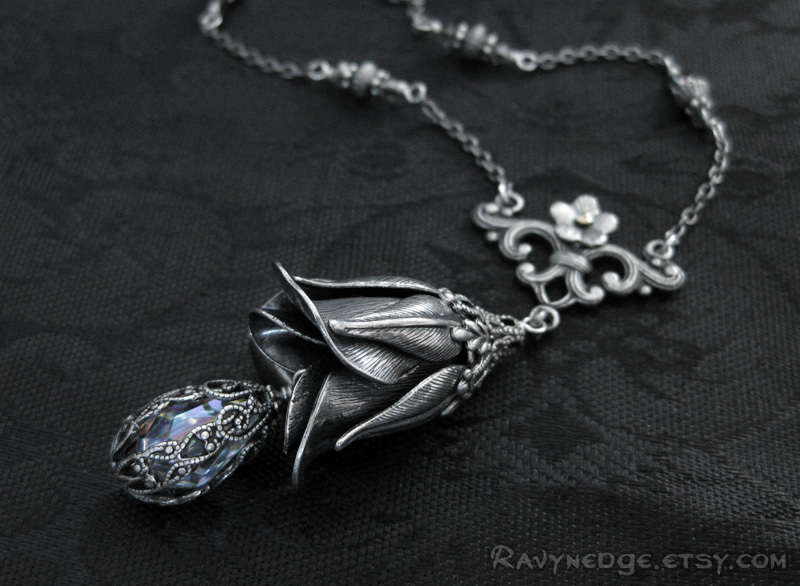 Captured Tears Necklace - Crystal AB Swarovski and Silver Rose Pendant by RavynEdge. 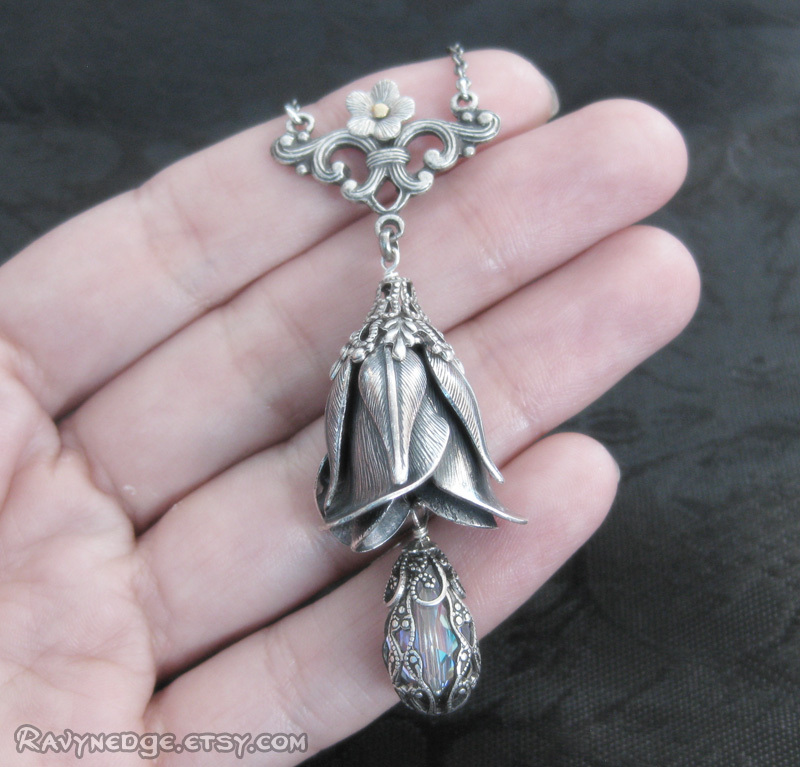 Captured Tears features a beautiful sterling silver plated brass rose with amazing delicate detail. 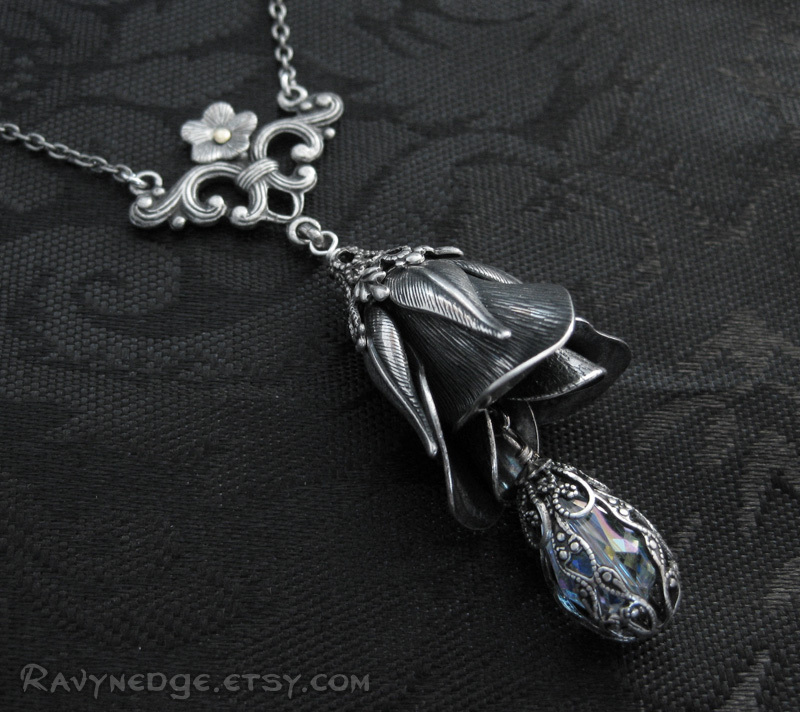 Dripping from the wilted rose is a single crystal tear of aurora borealis Swarovski captured within a lacey cage of filigree. Beads of black diamond satin Swarovski crystal and metal accent the chain assembly to complete this amazing necklace. 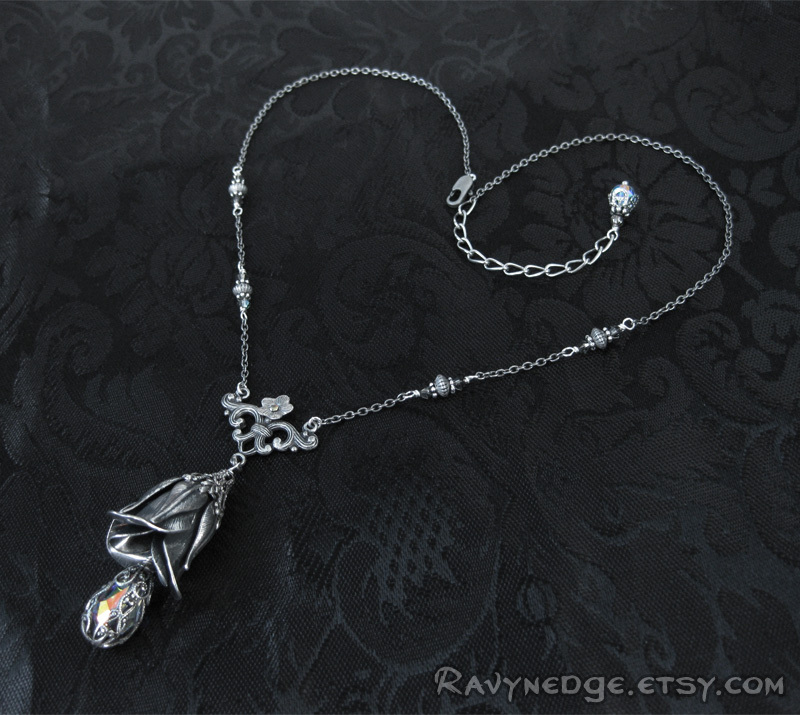 The floral connector, rose, and drop measure approximately 2.6in (6.5cm). The sterling silver plated steel necklace chain is adjustable from 16 to 18 inches (40.6 to 45.7cm) and closes with a lobster clasp.